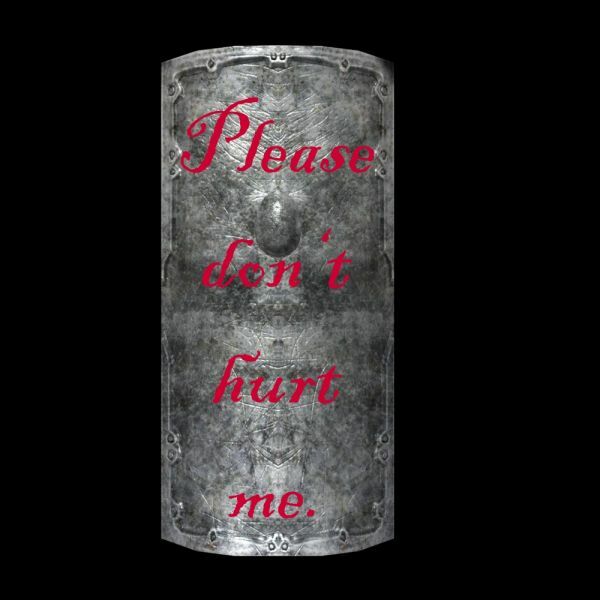 If you've ever played Demon's Souls, you know a shield is the difference between dying quickly and dying slowly. (You're going to die no matter what you do). If you have a good shield at least you get a chance to take a few baddies with you. You may remember that some of the shields (like the Tower, Brushwood, or Adjudicator's) were quite spiffy, but maybe you have your own personal coat of arms you'd like to see emblazoned across a digital piece of steel. 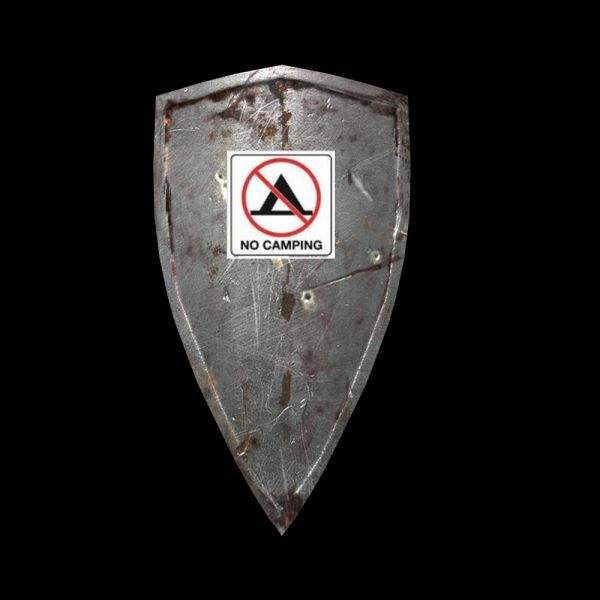 Namco Bandai has announced a Shield Design Contest for Dark Souls, the 'sorta' sequel to Demon's Souls. 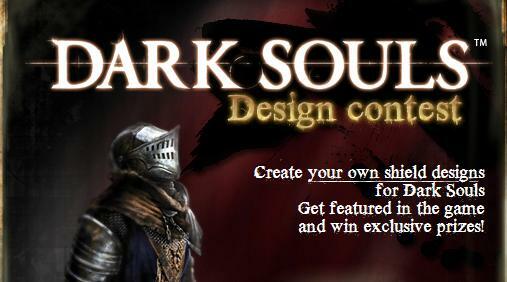 Simply go over to the Dark Souls Facebook page for all the contest details. There you will be able to download the templates and get your creative juices flowing, which sounds way more disgusting as I type it. There are three different style templates to design. You can see other entries and vote on your favorites. The top ten entries for each template will receive a copy of Dark Souls signed by game director Hidetaka Miyazaki. The final three winners will have their design created in-game for everyone to see (and use). 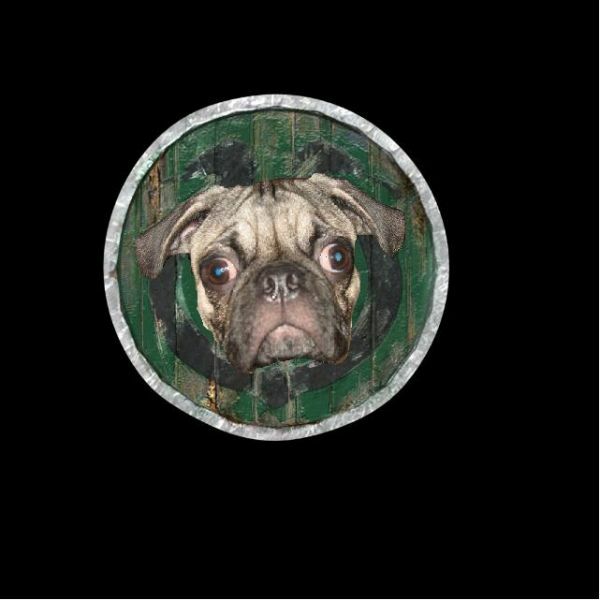 Their names will even appear in the game credits. They'll also get a signed copy of the limited edition of the game. It's so simple, even I can do it. I gave it a try and you can see my little creations after the break. I didn't say they were tough. Dark Souls will be out this October for the Xbox 360 and PlayStation 3. It supports 3 player online co-op.